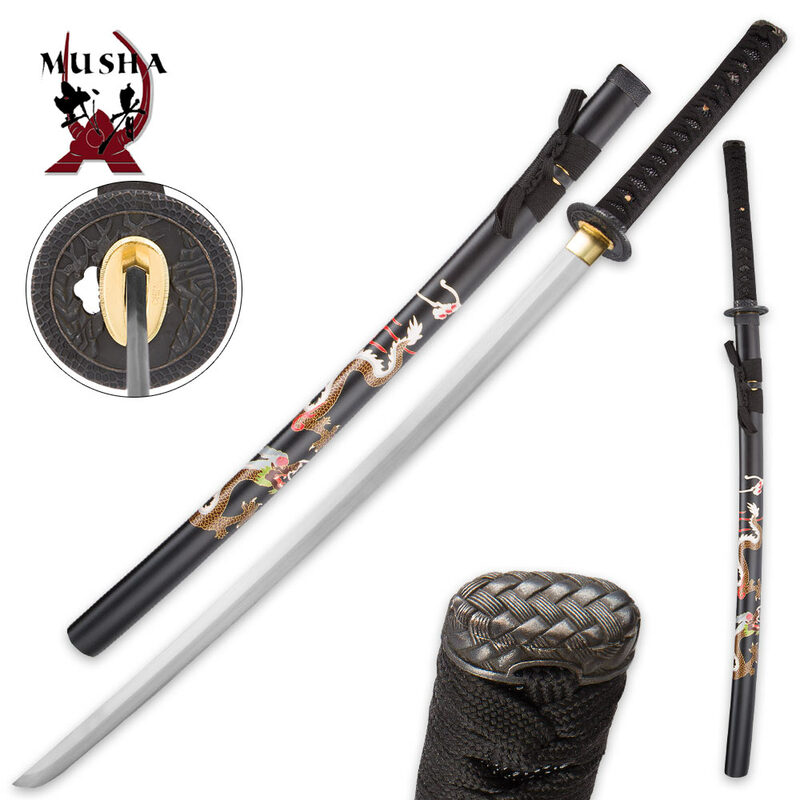 Regal, and kingly is the only way to describe our Luna King Regal Samurai Sword. 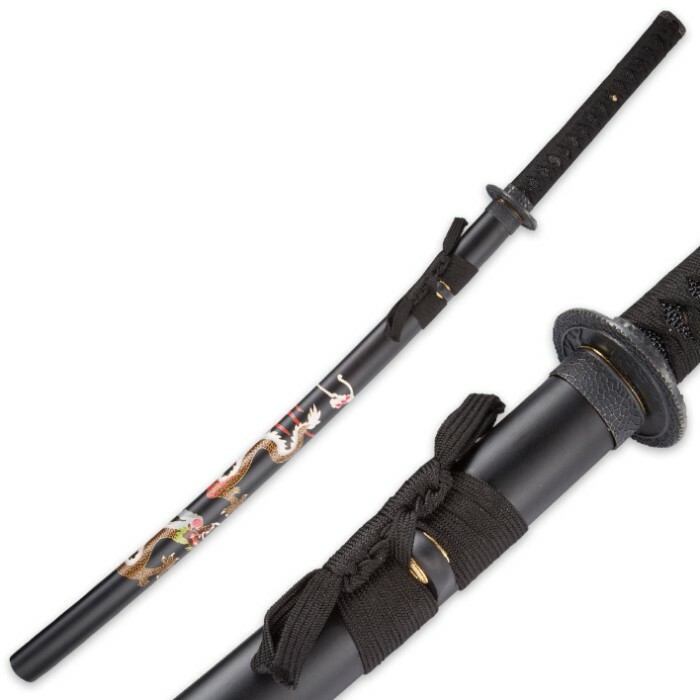 The 28” full-tang carbon steel blade and the beautifully designed artwork on the scabbard makes it fit for an emperor. It has an ornately designed tsuba and a hardwood handle with traditional black nylon cord wrap. 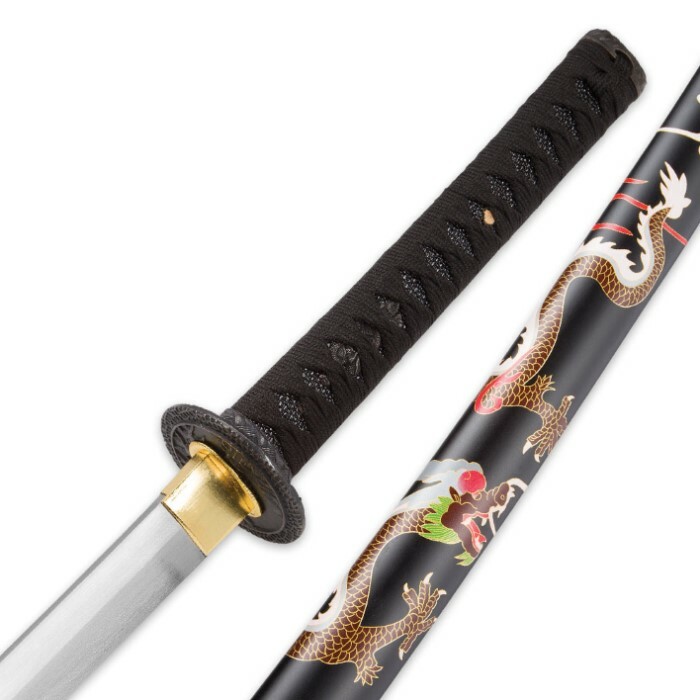 The black scabbard features a colorful dragon design that makes it an exceptional display piece.